In addition to our standard inshore and offshore charters we are offering two of the BEST CHARTER FISHING VALUES at the Jersey Shore! 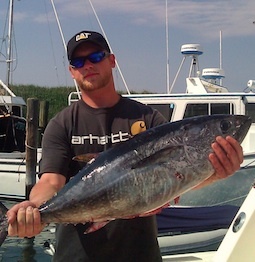 #1: Half Day Fishing Charters for $575! Take your family, friends, customers and business associates deep sea fishing. You pick the time - morning, afternoon or after work! #2: A full blown Shark Charter for $1175! This is an eight hr. charter. It consists of a 1-1 1/2 hr. cruise to the Shark grounds, 5-6 hrs. drifting for Sharks, and 1-1 1/2 hr. return trip. This is a customized charter for those fishermen who would like to experience the thrill of a Shark Fishing Charter without the added expense and spending 10 or 12 hrs offshore. 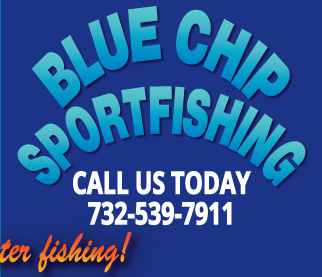 Call for more details 732-539-7911 or Email On the Blue Chip we tend to keep things simple. 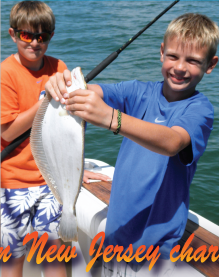 Unlike most other New Jersey Charter Boats, with numerous prices for different species of fish, we have only two rates - Inshore and Offshore. 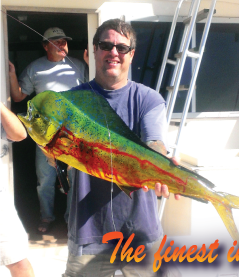 We can customize your fishing trip to fit your needs, such as a later departure time. Additional time can be added to your charter at a rate of $150 per hour. If requested in advance you can split a day between Shark and Tuna, or Inshore and offshore. Gift Certificates are available for any occasion!